Ron D. from Victoria, BC Canada recommends this vacation rental. Great! See you next time! My stay in 208 for 6 weeks was great💕. In fact I reserved for 2020 again so that speaks for itself. Lonnie goes out of her way to assist you in any way possible. My biggest challenge is how to turn on the dishwasher. I wish it had an ice machine in the refrigerator. After three winters without the seawall is a bummer but Hawaii is difficult to get permits. I hope 2020 we have it back. Casey S. from Lahaina, HI United States recommends this vacation rental. Had a great time in Maui at this resort - it's beautiful and perfect views! Wish we could have stayed forever. Hope to see u again soon! So glad you enjoyed! Nice condo. Great whale watching from the deck this time of year. #208 and the entire property provided an amazing venue for a very relaxing vacation. There is nothing better than sitting on the lanai enjoying the view, the trades, and even the honu(sea turtles) that swam by. Gordon C. from COLLEYVILLE, TX United States recommends this vacation rental. We have been staying at Kaleialoha for a number of years and will continue to do so. Great location, great condo complex, and management is super. Patricia J. from Sparks, NV United States recommends this vacation rental. This was our first time to Maui, we have been to other islands before but never Maui. Our condo was PERFECT, had more that we anticipated. Right on the ocean and there were even sea turtles outside all the time. So relaxing!! Great location right on the water. Perfect unpretentious place. Jack M. from Chester, NJ United States recommends this vacation rental. My wife and I had been here 4 years ago and loved it. So we brought our daughters here this time. They got a separate unit with a good sofa bed. So in effect they each had their own bedroom. Your lanai is about 65' from the water's edge. The view is Molokai to the right and Lanai Island to the left. You're a short drive to Ka'anapali and Lahaina. You can snorkel right in front of your room. Plenty of room for a couple. Although 4 could fit, that seems tight to me. I like plenty of space. What more could you want? A guest from Pioneer, California United States recommends this vacation rental. A guest from Salmon, ID United States recommends this vacation rental. We had a wonderful stay. This was our second visit to Kaleialoha and would return again. Perfect views from the balcony of #208! This condo is immaculate, fully functional and better than advertised. Loved watching the sunset and the turtles play. Will definitely be back! Lonnie goes out of her way to assure your stay is perfect! A guest from Silverlake, Washington United States recommends this vacation rental. Andy M. from lahaina, HI United States recommends this vacation rental. Great place. Loved watching the turtles everyday. Seen the whales one day as well. Kent J. from Lawrenceville, GA United States recommends this vacation rental. Love it. Loved the location, walking distance to coffee, dining, park, and the view. Jessica P. from Port Orchard, WA United States recommends this vacation rental. We had a great time at the Kaleialoha - Unfortunately the beach access was not available to us during our stay, so that was a bummer. Even with that we really enjoyed the rental - the inside was great and super comfortable. Had everything we needed! Nicolas C. from Valleyfield , Quebec Canada recommends this vacation rental. très bonne emplacement, notre appartement était directement sur l'océan en plus d'être propre il ne manquait rien. même si l'appartement possède l'air climatisé vous n'en aurez nul besoin puisque la brise de l'océan traverse le condo continuellement ! Janell H. from Lahaina, HI United States recommends this vacation rental. Everything was great! The location, the condo, the view! jennifer a. from Lahaina, HI United States recommends this vacation rental. Carlyn F. from Lahaina, HI United States recommends this vacation rental. My vacation was a last minute plan, and kaleialhoa rentals was able to set us up for the week we were there. I the most relaxing vacation in one of the most beautiful spots on the island. It was wonderful to walk right out of the condo and swim with the turtles in the ocean. The rental had everything we needed to enjoy our week that we spent on the island. I would highly recommend kaleialhoa rentals to anyone I know who would be going to Maui Hi. And when I come back it's the first place I will be looking up to stay again. Grace V. from Highlands Ranch, Colorado United States recommends this vacation rental. Phillip S. from Ashville, Ohio United States recommends this vacation rental. Great location, price, people and condo condition. Grocery and places to eat close by and Lahania is only minutes away by rental car. Kate M. from DEAKIN WEST, ACT Australia recommends this vacation rental. The condo was gorgeous, great view of the sea turtles, private beach, pool, huge bed, lovely kitchen. We thoroughly enjoyed our stay and can't say enough about how nice the property was. shawna h. from marysville, ca United States recommends this vacation rental. I would suggest that you do your grocerie shopping at either Costco by the airport or Safeway in Lahina. There is a store closer to the complex but it is rather expensive. We will be staying at Kaleialoha again. Kaleialoha #208, a beautiful place to stay. Robert M. from Spokane, WA United States recommends this vacation rental. One of the nicer condos we have stayed in over the years in Hawaii. Wonderful bed, fantastic view, and everything you need in the kitchen. A great place for the two of us. If your trying make this work for four people, it will feel a little tight, and the fold out bed is none too comfy. A guest from Temecula, CA United States recommends this vacation rental. Beautiful condo inside and out! I spent every morning sipping coffee on the lanai taking in the magnificent view, and every evening sipping wine on the lanai taking in the sensational sunset. Morning and night, there were sea turtles out front and one even made his way on to the beach next door. The condo is well-equipped... you will want for nothing. It is conveniently located to either go north to Napili or south to Lahaina. Farmer's market, coffee shop, and restaurants within walking distance. The staff is very hospitable and attentive. Wonderful, relaxing vacation! Would highly recommend! Kathy S. from Santa Ana, CA United States recommends this vacation rental. This was a great place to stay. The condo was clean, comfortable, and well appointed. Quick access to the beach was a big plus. The staff and other guests were friendly and helpful. Lots of stores nearby. We ate at "home" most of the time we were there because we didn't want to miss a sunset. And we saved money. We can't wait to go back and stay longer next time. A guest from Wilsonville, OR United States recommends this vacation rental. Great stay at Kaleialoha. Up to date unit. The balcony is set up for 2 and there is eating space for 3 at the kitchen bar - so even though there were only 2 of us staying, there was not room for guests to visit. Overall, we were very satisfied with our stay. Everything about this place was perfect - it was in a great location, it was right on the ocean, it was clean and comfortable. We got to watch sea turtles from our balcony and even saw a sting ray one morning! I will definitely be staying here again. A guest from laval, QC Canada recommends this vacation rental. A guest from Liberty Lake, WA United States recommends this vacation rental. Actual oceanFRONT! EZ access in & out of the water. Quiet condo with 48 1-bedroom units just 40ft. from the sea(20 studio units face the parking lot. Just minutes to Whalers Village in Kaanapali. Located right on the island bus route as well. We love Kaleialoha - we have been coming there since 1983 when Ed and Darlene were the managers. Lonnie is always very helpful. We are looking forward to coming back Feb 2016. Unit 208 needs a decorator - it is very nice but is very bland. Tim G. from Reedsport, OR United States recommends this vacation rental. This was our second stay at Kaleialoha. Both rooms we have rented here have been very nice. Having both A/C and in room laundry is such a big plus. We will definitely stay here again. Beautiful Vacation with a wonderful view! Maxime M. from Cologne, NRW Germany recommends this vacation rental. The seefront-vacation was really beautiful and clean! The view on the see was simply wonderful! Kristine D. from Englewood, CO United States recommends this vacation rental. It was amazing. We loved falling asleep and waking up to the sound of crashing waves. From out balcony we could see: beautiful sunsets, sea turtles, and whales. Our room had extra towels and blankets and even a couple coolers we could use at the beach. The washer/ dryer and full kitchen were convenient since nobody goes to Hawaii for just a couple of days. Kaleialoha was peaceful and perfect. Very comfortable condo with everything we needed,beautiful ocean view from unit, close to beaches, shopping. Would definitely recommend a stay here as well as return here for another stay. Mark O. from Grand Rapids, MI United States recommends this vacation rental. C. from Grand Junction, CO United States recommends this vacation rental. Unit #208 has been beautifully upgraded with very nice finishes. Very comfortable, and every possible amenity was provided, from beach chairs and coolers to kitchen tools. There were a couple of minor problems with the bathroom (no fault of the owner or management company) but they were dealt with very professionally and quickly. Would stay in this unit again in a heartbeat. The location of the condo is spectacular - had amazing whale watching right from our lanai. Bill C. from Gilbert, AZ United States recommends this vacation rental. Met all of our expectations. Nice accommodations, priceless view of the ocean, friendly staff. A guest from La Mirada, CA United States recommends this vacation rental. PS The on-site manager, who doesn't manage #208, told me they supply a welcome basket that includes body wash for their guests. As usuall we had a wonderful time. The unit was very nice with the exception of the couch which needs to replaced, and the mattress in bedroom is close. The flat screen TV was an off brand we had never heard of the and the sound and picture left alot to be desired. Other wise the condo was in great shape. Nice beach chairs. Mahalo to Lonnie she always takes good care of us. Will be back next year, but in a diffrent unit. The Kaleialoha sits just a stone's throw from the water, boasting a stunning 180 degree view and gorgeous sunsets. Its location is ideal - great for walking, a quick trip out for groceries and a 10 minute ride to Lahaina. The property is clean, quiet and very well cared for. We knew our first visit there was no reason to look elsewhere. A guest from Midland, MI United States recommends this vacation rental. Great view. Helpful manager. Needs more dishes. Liked wireless internet. Didn't like high bed. Bathroom toilet needs work. A good choice all in all. Kevin D. from Grand Prairie, AB Canada recommends this vacation rental. Sitting on the lanai and watching whales, and the turtles right off the sea wall was excellent.You could not ask for better, from a small complex.We would stay there again. It is everything we look for when renting a condo. Rick & Kaye H. from Bismark, ND United States recommends this vacation rental. The property was just as described. Would definetly recommend and would stay here again when returning to the island. 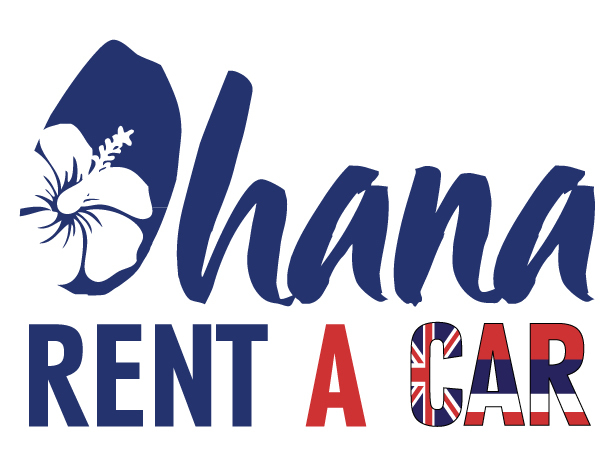 Frank & Carol C. from Kaneohe, HI United States recommends this vacation rental. Pat N. from Woodridge, IL United States recommends this vacation rental. Great experience. Locked myself out one night, called the emergency number and was in the condo 3 minutes later. Anita H. from Kimberly, ID United States recommends this vacation rental. Spent a week at the Kaleialoha. Facility was well maintained, staff was friendly, and the condo was well equipped and beautiful. We plan to stay there again. Keith T. from Salem, OR United States recommends this vacation rental. Nice property, great location, awesome view. We were here in Aug/Sep and enjoyed the sea turtles visiting daily. Miria F. from Laval, QC Canada recommends this vacation rental. Chari S. from Bothell, WA United States recommends this vacation rental. The website was right on with pictures and info of the property. I loved our stay. Wish the weather wasn't as rainy, but 80 degree rain is better than 40 degree rain. Thank you for a wonderful stay. Mike O. from Spring Branch, TX United States recommends this vacation rental. Our 4th stay at Kaleialoha Condos, and it will not be our last. That should say it all. Aloha until next time. A guest from Orlando, FL United States recommends this vacation rental. Room has the most gorgeous view of the ocean. We saw several turtles and whales while eating breakfast on the balcony. So much better than a cramped hotel room. Best honeymoon ever! Wish we didn't have to leave. A guest from Santa Barbara, CA United States recommends this vacation rental. We just returned from a fantastic week at this condo. We loved it! The property is in a perfect location, right on the water. We watched whales and sea turtles from our lanai and saw gorgeous sunsets each night. The property is kept in perfect condition and the unit was top of the line. Gorgeous, upscale kitchen. My only complaint about the kitchen was that for a high-end kitchen, it was not so great to cook in since it had very basic pots and pans. This is the only area that we feel could use an upgrade. But everything else was beautiful. We would gladly return!! A guest from Victoria, BC Canada recommends this vacation rental. Kelly H. from Lotus, CA United States recommends this vacation rental. Beverly B. from Seymour, IN United States recommends this vacation rental. loved every minute of our stay at this property! Will definitely return! Julie B. from Palo Alto, California United States recommends this vacation rental. Behind the fortress-like facade of 70's era condo architecture lies a true gem - your home away from home condo. The ocean view is spectacular and you are just steps away from a delightful swim with sea turtles. Our condo was beautifully appointed as were the two others our family rested. We'll be back. Phil B. from Ottowa, Ontario, Canada United States recommends this vacation rental. I highly recommend this unit to anyone looking to visit Maui without paying a ridiculous amount of money. Henk P. from Indio, CA United States recommends this vacation rental. This condo was a perfect choice as a home base for us as we experienced Maui for the first time. It had everything we needed, and the location was perfect. The ocean views from the lanai are simply stunning! Mahalo for making this condo available . Schuyler W. from Cincinnati, OH United States recommends this vacation rental.